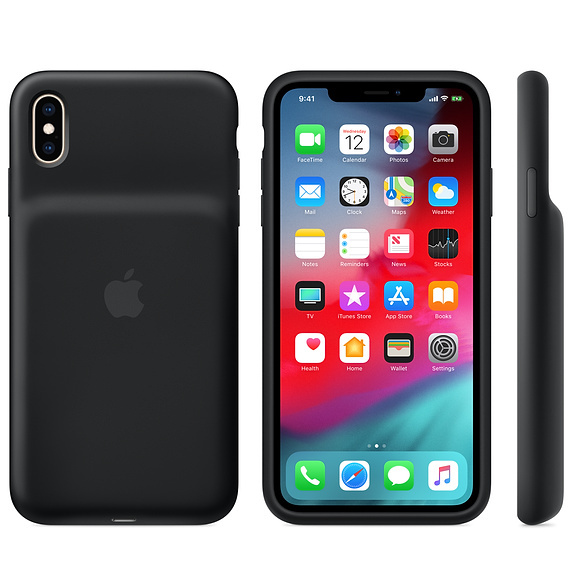 For the new iPhones released in 2018, the XR, XS and XS Max, Apple released the official battery case. However, for iPhone X, the smart battery case is yet not released. Available only in Black or White colours, the smart battery case is made of silicon material and includes a soft elastomer hinge design for easy installation of the case and removal. The smart battery case is wireless charging compatible with Qi-certified chargers. The battery case and iPhone device can be charged simultaneously. Apple claims that once charged, the device will give you up to 37 hours of talk time, Internet use up to 20 hours and even longer playback of audio and video files. With the smart battery case on, iPhone will display the battery status in the notification center and on the lock screen. The case also supports USB Power Delivery (PD) chargers for fast charging. The retail price of the smart battery case is USD 129 and is available online on Apple website.